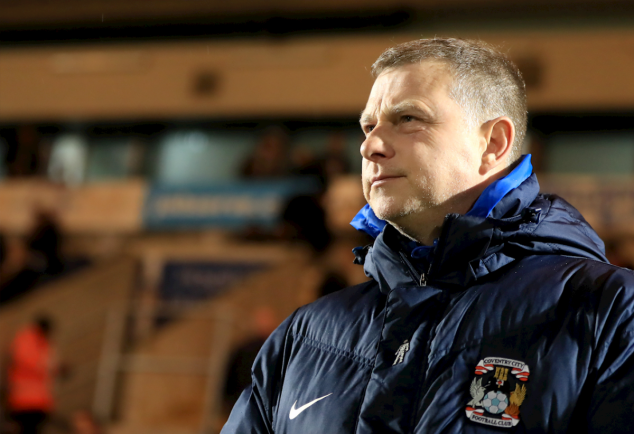 COVENTRY City Mark Robins expressed his pride in the Sky Blues players who put on a solid performance to walk away with a point at Gillingham, despite dominating for the majority of the game. City headed into Saturday’s League One fixture at Priestfields on the back of a disappointing 2-0 defeat to Blackpool the previous Tuesday. The players certainly listened to Robins’ call of ‘owing the fans a performance’ as they took lead after just 20 seconds through Jonson Clarke Harris. Elliot List hit the equaliser for Gillingham 20 minutes from time. “I enjoyed watching us, the only thing is that it began to get frustrating when we weren’t taking our second chances,” said Robins. “But it was better. We have moved the ball well and created decent openings and they [Gillingham] have had a really decent start to the season, especially on their own patch. “On the back of the result from the other day, we obviously worked on things in the week and spoke about what we need to do as a team to keep our identity, not get away from that and believe in it. Despite only finding the back of the net just once throughout the afternoon, the Sky Blues put the Gills defence under pressure for the entirety of the match by having 20-plus efforts on goal. And the City manager said his side were only one goal away from making it a rout at Priestfields. “If we got the second goal we could have got a third and a fourth and it could have been a rout because we were controlling the game,” he added. City now turn their attentions to Saturday’s home clash against Rochdale with Robins calling on his players to be more clinical in front of goal. “Saturday was about trying to put right things that were wrong on the previous Tuesday night,” he said. “So I am pleased because they have taken it on board and I am pleased that they’ve done that.